Short 'N Scrappy: I LOVE CANDY and MADE UP HOLIDAYS!!! 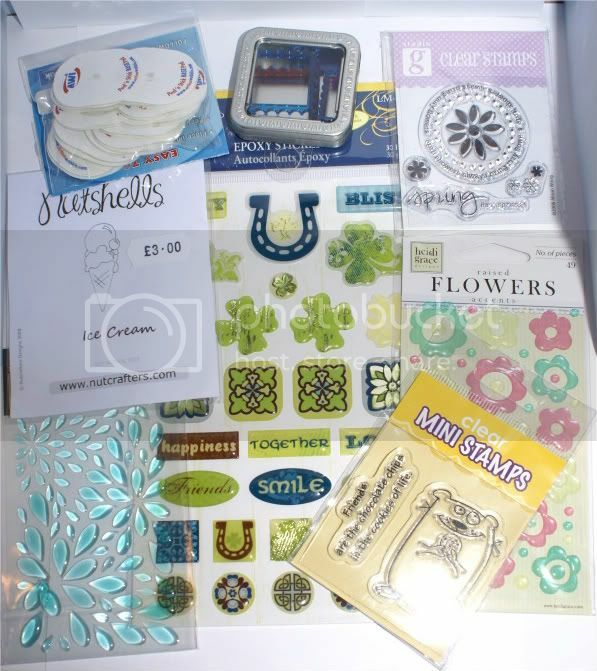 So yesterday evening I received my goodies from Jamie over at Glitter, Stamps and Paper, Oh My. Aren't these some awesome goodies!! Just wanted to thank Jamie for this awesome prize!! Please visit Glitter, Stamps and Paper, Oh My for some great inspiration and check out her amazing projects as well!! About a week ago I received a free sample of some iron-on vinyl from Print On It. I received the "Cut Color Wear" vinyl. You can cut your own design, color with markers, and iron it on. How cool it that. I didn't color mine because I wanted it to be white. Check out the T-Shirt I just made for my son's birthday! I love this stuff!! 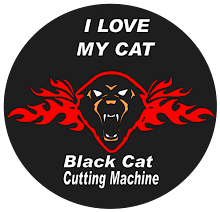 They even have vinyl you can print on with your inkjet printer and iron on. I will definately purchase this product in the near future!! Pay them a visit and check out all the cool vinyl!! 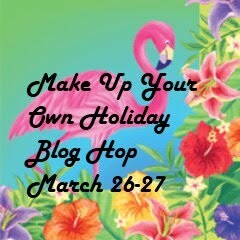 Tomorrow is the first day of the "Make Up Your Own Holiday" Blog Hop. Please come back tomorrow and Sunday and hop with us. There is an amazing group of talented ladies joining in so you definately don't want to miss this one!! How cool is that top, Im off to get myself some of that.